Burial Beer officially arrives in Atlanta! Right on time for Halloween, Burial’s a gangster treat! The schedule is below. Ever since I visited this gangster brewery in Asheville earlier this year and having a beer with the owners, I couldn’t wait for Burial Beer to come to Atlanta. Their artwork is sick, the staff is super chill, the Liberator distribution team are my homies, and everything Burial brews is official—especially their IPAs! Well the time has come and the schedule is below starting with some tap takeovers and special selections being poured throughout Atlanta. 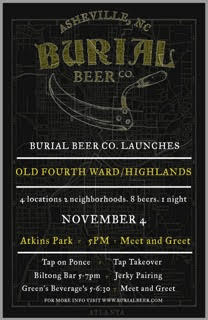 From October 31 to November 11, it’s on and poppin’ as the official launch of Burial Beer to the Atlanta, Georgia area starting with Decatur. There will also be Burial representatives at a lot of these locations, so come kick it and see what all the hype is about! 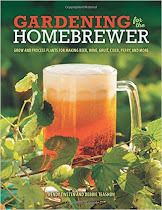 These cats can brew! Here is one of the many events! It’s ‘A Haunting On Ponce: Eat, Drink, & Be Scary’ Friday through Monday! Atlanta always has something poppin’ and one of the most recent hot spots happens to be the industrial-chic lofts, upscale shopping plaza and carnival-centric rooftop of Ponce City Market! Trust me, it’s an awesome place to drink, eat, buy and in this case, PARTY! Here is what they have for us straight from the source. ScoutMob has a killer deal so get your tickets here now! Abandon all hope ye who enter here…From October 28th to 31st, Ponce City Market is hosting “A Haunting on Ponce: Eat, Drink, & Be Scary,” four days of fright-filled events in celebration of Halloween weekend. Visit with friends and family for Halloween-themed food, drinks, and performances, and the building itself will be in costume, decked out in dazzling and spine-chilling décor. FRI., OCT. 28TH: SCOUTMOB & HAND-PICKED ATLANTA'S HALLOWEEN PARTY—If you’ve got it, haunt it! For the first time ever, Ponce City Market will host Scoutmob & Hand-Picked Atlanta’s beloved, annual Halloween Party, now in its sixth year. Starting at 8pm, enjoy interactive art activations and installations from local Atlanta artists, curated and produced by Dashboard (Atlanta-based, non-profit exhibition platform) in the Boiler Room on Ponce City Market’s 2nd floor, plus ghoulish craft cocktails. General admission tickets ($45) and a limited number of VIP tickets ($89) are available for purchase on Scoutmob & Hand-Picked Atlanta’s website. The VIP Late Night Lounge will open at 10pm, hosted at The Mercury. - SAT., OCT. 29th: HAUNTED HEIGHTS AT SKYLINE PARK—Take in panoramic city views from Ponce City Market’s rooftop at Skyline Park, along with an acrobatic performance and unlimited carnival game access. Head to the food stand for Halloween-themed, carnival-style food and drink. Tickets are $35 per person (not including food or cocktails) in advance via Eventbrite or $50 at the door, and the party lasts from 8PM to midnight. - SUN., OCT 30TH: SUNDAY SUPPER SOUTH— Something wicked this way comes: Chefs Anne Quatrano and Clifford Harrison host the James Beard Foundation’s 7th annual Sunday Supper South at Ponce City Market, with a cocktail hour at 5:30PM and dinner at 6:30PM. This year’s culinary roster celebrates an award-winning line-up of female chefs, including Savannah Haseler (Twain’s Brewpub & Billiards, Comet Pub & Lanes), Erika Council (Southern Souffle), Rebekah Turshen (City House), Cheryl Day (Back in the Day Bakery), Asha Gomez (Spice to Table), Whitney Otawka (Greyfield Inn), Kathleen Blake (The Rusty Spoon), Hilary White (The Hil), and Heather Machovec (O Ya). Furthering the theme of female camaraderie, the dinner will conjure inspiration from “The Witches of Eastwick,” the classic film based upon John Updike’s novel of the same name. Tickets are $250 for James Beard Foundation members and $275 for non-members. To reserve, or for more information, please call 404.365.0410 ext. 22. - MON., OCT 31ST: TRICK-OR-TREAT—Bring the kids for an evening of trick-or-treating throughout Ponce City Market, where restaurants and shops will offer sweet treats for ghosts and ghouls alike. At 4pm, the neighborhood’s littlest monsters from The Suzuki School will parade in costume through Ponce City Market’s courtyard and Central Food Hall. Next, beware a troupe of traveling, dancing zombies performing classic moves from the original video mix of “Thriller” and headlined by The King of Pop himself (wink-wink). This event is free and open to the public. In a tee-up to Halloween, follow Ponce City Market on Instagram (@poncecitymarket) for laugh-out-loud profiles spotlighting zombies and revealing how each met his end. Ponce City Market is a historic mixed-use community hub focused on artisanal food, fashion, residential lofts and office. Developed by real estate investment and management company Jamestown, Ponce City Market combines 259 residential flats with approximately 550,000 square feet of Class-A loft office space and 300,000 square feet of retail and restaurants including Dancing Goats Coffee Bar, Binders Art Supplies, Google Fiber, Suzuki School and General Assembly as well as a Central Food Hall. 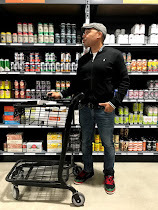 The Central Food Hall features Anne Quatrano’s Dub’s Fish Camp, Botiwalla from the owners of Chai Pani, Linton Hopkins’ H&F Burger, Sean Brock’s Minero, among others. National anchor retail tenants include The Frye Company and West Elm. The evolution of Ponce City Market focuses on preserving the building’s historic character and enhancing its connection to the surrounding community. Ponce City Market also boasts a pedestrian bridge, which links the interior courtyard and public market directly to Atlanta’s popular BeltLine. A portion of the parking fee at Ponce City Market is donated to “Light the Line,” the fundraising campaign to bring pedestrian lighting to the Atlanta BeltLine. For more information, go to: www.poncecitymarket.com. It’s a Founders beer dinner with Piastra on Marietta Square! Yep, I love beer dinners! This one is on October 25th. On October 25th at 7 p.m., the Italian-inspired Piastra on Marietta Square is hosting a beer dinner with one of the best breweries in the country, Founders. For a mere $40 (tax included) plus appreciated gratuity, you should definitely make your reservations before all the seats get sold out by calling (770) 425-9300. Here is the menu below. Say hello to Founders’ rep, Abbey, for me! Taco Mac’s Georgia Chapter Room hosts Terrapin and Herradura! From an awesome beer dinner to one of the best tequilas in the world, Atlanta’s most intimate beer bar throws down next week! Always keeping you in the loop of all the dope events around town when it especially comes to the sips, ATL’s most intimate beer bar—the Georgia Chapter Room—is hosting two classy occasions for us to enjoy. Stationed under the Taco Mac in Sandy Springs at the Prado, the Chapter Room is one of my favorite locations due to its speakeasy vibe, extensive list of hard-to-find libations, and posh interior. 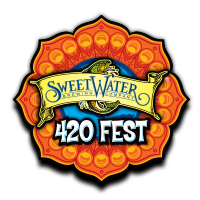 Next up, they are hosting Casa de Herradura on October 25th and Terrapin on the 27th! Here are the details straight from the source. Taste Tequila beyond the margarita. Join us for a tequila tasting with Ruben from world famous distiller Casa de Herradura in the GA Chapter Room on October 25th at 6 pm. Tickets are $40 and include a tasting flight of tequila, snacks, and a beer. Sounds like our kind of Tuesday. Terrapin’s coming to town for dinner. Join us on October 27th in the GA Chapter Room for a five-course beer dinner with our friends from Terrapin Brewing in Athens. Tickets are $50 and you save $10 on two. Taste of Atlanta is coming this weekend! There are still tickets left for one of Atlanta’s best culinary extravaganzas October 21 through 23rd! 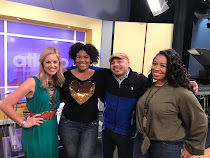 I have always had a blast covering and judging for the Taste of Atlanta three-day food festival held in Midtown’s Tech Square. Since its inception in 2010, this is truly one of my favorite events to be a part of and cover you, my cherished readers. Well it’s on again this weekend and I strongly urge you scoop tickets here before they are sold out. From all the 90-plus gangster restaurants serving up samples of some of their prized dishes to, numerous cooking demonstrations and, of course, the craft beer, wine and cocktails being poured, don’t miss this one! 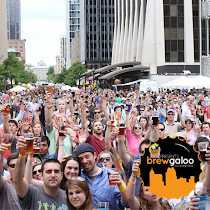 They Say: Get primed for this weekend’s Taste of Atlanta. You’ll not want to miss a morsel of the city’s signature culinary fest spreading through Midtown’s Tech Square, October 21-23. Foodies will enjoy samplings from more than 90 of the Southeast’s most popular restaurants, including 5Church, The Big Ketch, HOBNOB, Marlow’s Tavern, Seed Kitchen & Bar and Smokebelly BBQ--and a full schedule of events such as VIP Grand Tasting Experience options, Barcraft Competition, Big Green Egg Grilling Stage, The Chef’s Table, Family Food Zone, The Kitchen Workshop, silent auction and more. Buy tickets for individual days or in two- or three-day packages and view the full schedule online. Pour one for the late Damien Schaefer. 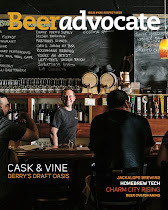 This gent truly touched everyone he met while realizing his dream to one day open an awesome brewpub. We often met at some of Atlanta’s premier beer spots including Ormsby’s, Slice & Pint, Twain’s, Wrecking Bar, Leon’s (where I met his wonderful wife Jenni), and even his home where poured the week-old Pliny The Elder pictured above he happily saved for me. I made it a goal to introduce him to some of the beer authorities of the city as well including Chase Medlin, Dan Mazurt, Bob Sandage, Jason Dominy, and others while Damien was taking on his ongoing battle against cancer for the past two years. His hopes were still high and I did my best to provide encouragement and optimism whenever I could. I truly believed he could beat it, so we enjoyed our time as much as possible as if that was the case, giving anything negative a backseat. 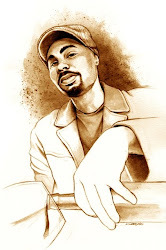 Discussions were more about his jaw-dropping brewing station he created by himself in Athens, our love for hats, how to get folks to fund his dream, sneakers, how much he loved Jenni, his collection of pets, and art among other things. It was always a fun time sharing beers with him. 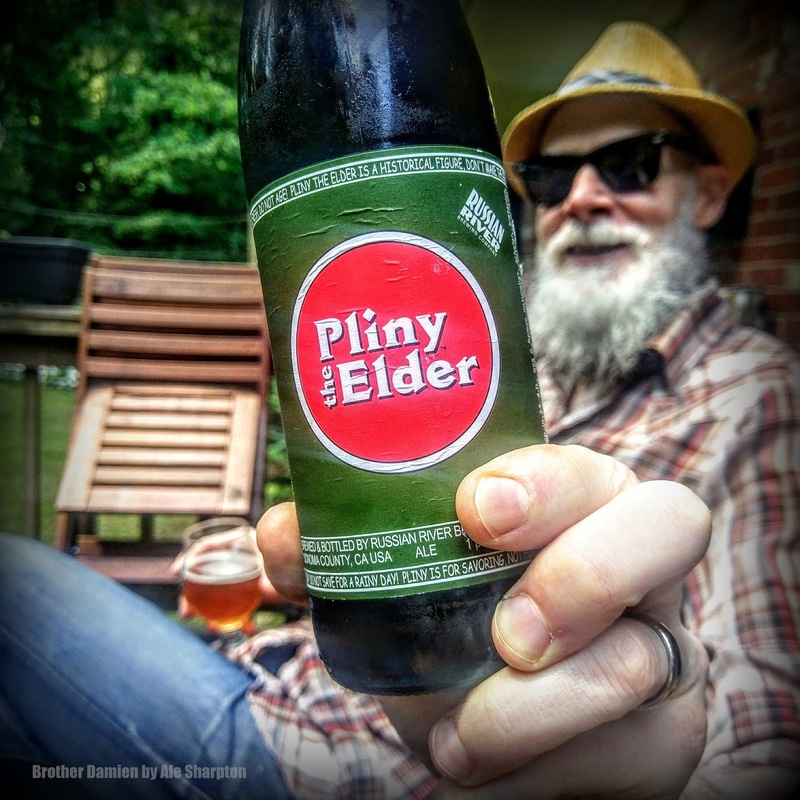 Getting a text from a mutual friend—Wild Heaven Beer Co-Founder Eric Johnson—I learned while out of town this past Saturday that the ruthless disease took another loved one away from me. I lost my mother to it a few years back. Damien’s passing truly hurt, but the memories of how chill he was will forever be with me. Besides Damien’s aforementioned Normaltown website, I found a great Flagpole.com article written on him by Hillary Brown here that discussed his contribution to the culinary scene as one of the Four Coursemen, his love for Athens and Atlanta, along with being a successful entrepreneur. Feel free to read it and learn more about him, as well as take a stroll through his Instagram handles here and here. Prayers go out to Damien’s wife, loved ones and friends. 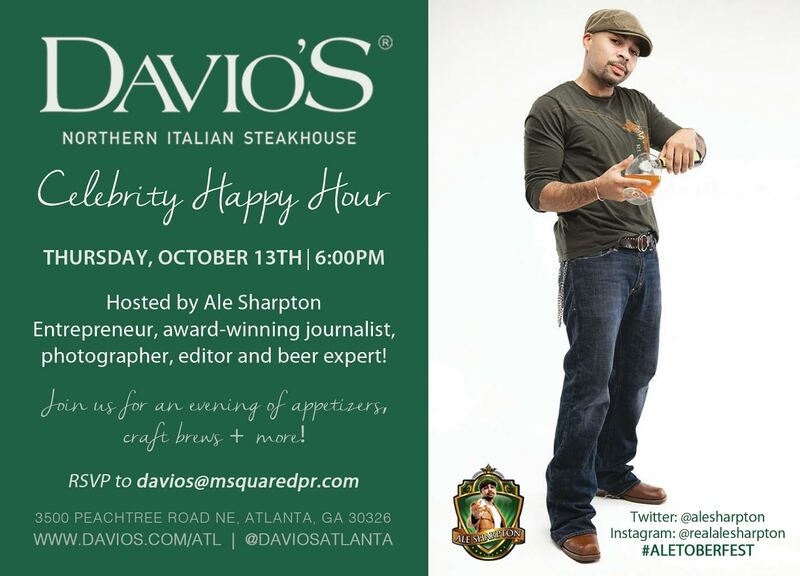 Come to my Happy Hour at Davio’s this Thursday! Complimentary appetizers, Treehorn Cider and Three Taverns will be in the house based in Buckhead’s Phipps Plaza! Okay, so I was offered the opportunity to team up with the upscale Italian-inspired Steakhouse Davio’s in Phipps Plaza to do a festive happy hour, so I said sure! 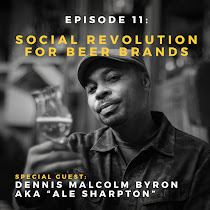 I have already been there for their phenomenal cuisine, a few off-the-chain media events, and talk the latest beer trends with the cool general manager, Paul Dunn. It was a no-brainer, so here it is! 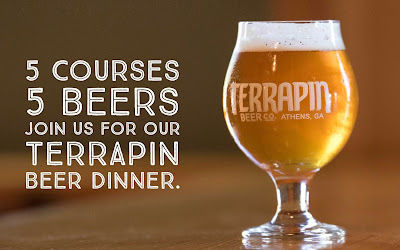 It will be a blast starting at 6 pm., and along with their extensive wine list and fine spirits, I recommended some local appreciation by featuring Treehorn's refreshing Dry Cider and one of the best IPAs in the biz, Three Tavern's A Night On Ponce, be poured. 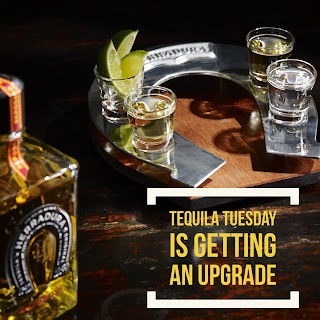 With delectable complimentary appetizers, drink specials, and schwag, it will be an awesome way to end the work day. The event is free, but please make sure you RSVP by emailing davios@msquaredpr.com. There is also valet with validation so indulge and enjoy! Again, it is super cool a restaurant like Davio's in ritzy Buckhead shows love by providing an evening like this, so let's make the most of it! National Bourbon Month is still going at Holeman & Finch! Check out their gangster list below! Of course we know that Atlanta’s beloved Holeman & Finch Public House is world renowned for their awesome, lip-smackin' burgers, but their bar is also no joke. Celebrating National Bourbon Month with their “Breakeven Bottle Program” in September, H&F has graciously extended it into October for all of you sophisticated sippers! Let’s kick it on my birthday! Yep! It’s another birthday to celebrate and I love all of you for making my life a joyous one. On today's agenda, I have Second Self Brewery's birthday (peep their gangster list below), then it's on to Wild Heaven, the Brick Store, and then outside on the Ladybird Grille & Mess Hall lawn for one more to close this gorgeous afternoon. Thank you for the born day wishes and enjoy life to the fullest. By the way, come party with me on Thursday. October 13th, at Davio’s from 6, on, during happy hour! I will have some surprises there. 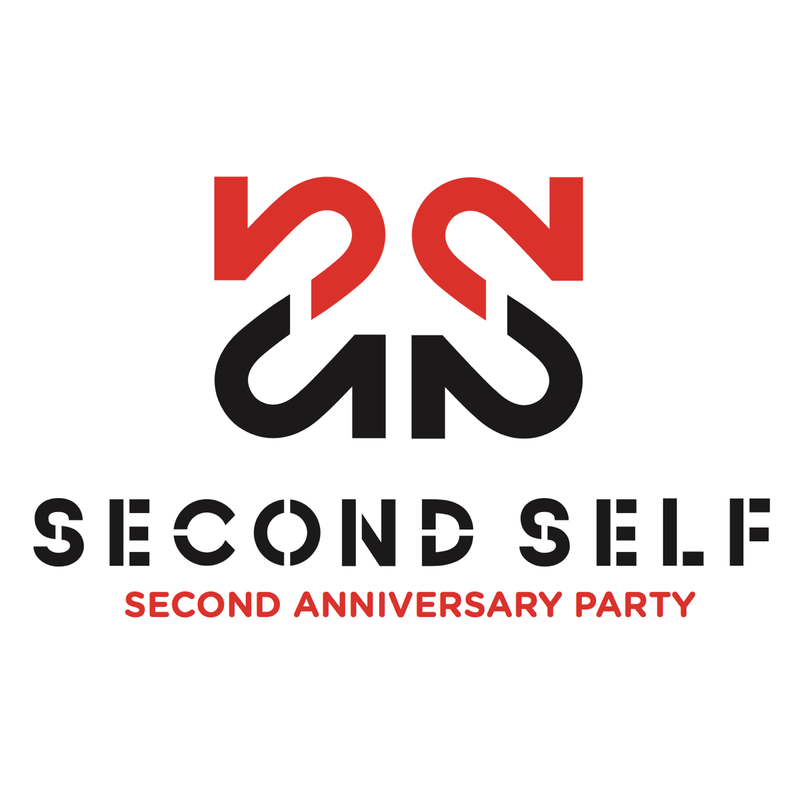 Second Self throws down for their second birthday today! 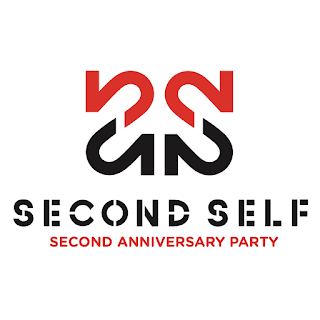 My bouy and co-founder of Second Self, Jason, and his crew are showing off today because they are pouring some extra dope beers and one-time releases including barrel-aged brews, two from their “Beertail” series and some fused beers from their “Alter Egos” series. Here is the scoop straight from the source. They Say: We are turning 2! 2 is a big year for us. 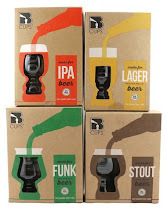 So we're going to have 22 beers on draft, a souvenir 2-pack to take home, and a custom 2-sided glass for you as well. VIPs will be able to get in an hour early starting at high noon. General Admission will be from 1pm-6pm. Castellucci Hospitality Group's Restaurant Week in ATL has begin! Cooks & Soldiers is one of the spots on my list! Cooks & Soldiers, Double Zero, The Iberian Pig and Sugo have awesome deals, events, and more starting October 3rd so get your Passport! October is officially underway and with it being my birthday month, I'm listing as much as possible when it comes to good times. Well let's set it off with one of the most eccentric and trendsetting restaurant groups in the South, Castellucci Hospitality Group, helping the tenth month kick off with a bang with its own Restaurant Week! Their restaurants Cooks & Soldiers, Double Zero, The Iberian Pig and Sugo aim to please our taste buds and hone our culinary skills with some amazing specials going down this week. Please read the official news below, check out their Passport Program, and book your seats asap! Evidently, the CHG sibling trio of Federico Castellucci III, Stephanie Castellucci and John Castellucci knows how to eat, imbibe and party! Grab your CHG passport and head to Cooks & Soldiers, Double Zero, The Iberian Pig and Sugo during Castellucci Hospitality Group’s second annual CHG Restaurant Week! From Monday, October 3, through Sunday, October 9, each restaurant will host themed events and classes, concluding with CHG’s fifth annual All Chefs Dinner. 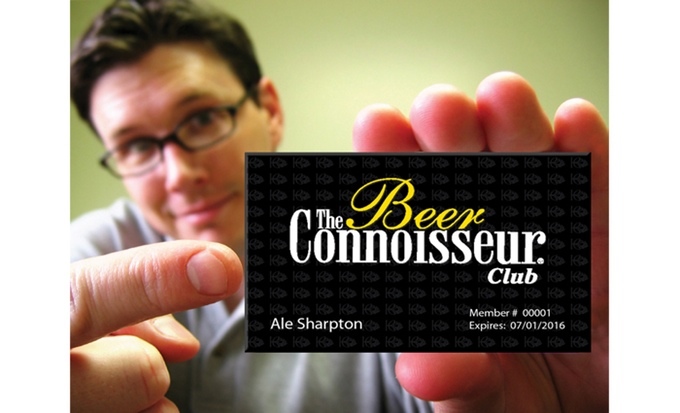 To redeem a reward, guests must drop off their passport complete with a valid email address at any CHG restaurant. Once approved, CHG will email gift cards via OpenTable Gifts. Passports won’t be valid without an authorized signature. Rewards are not cumulative. Kicking off CHG Restaurant Week, Double Zero will host a cocktail party in its new location in Emory Village. Guests are invited to gather in the bar area from 6 to 9 p.m. to enjoy cocktail specials by bar manager Nick Dolby, complimentary light bites by executive chef Edwin Molina and live music. Reserve by calling 404.991.3666 or via OpenTable here. Explore the evolution cocktails with The Iberian Pig’s bar manager Jason King, who will lead guests on a journey toward mastering mixology. Starting at 7 p.m., guests will enjoy historical libations from the first official mixed drink to molecular gastronomy, each paired with dishes prepared by executive chef Eric Roberts for $59 per guest, excluding tax and gratuity. To reserve a spot, call 404.371.8800 or email ejames@iberianpigatl.com. Join Cooks & Soldiers for a special vertical wine tasting featuring wines from Spanish winemaker, J.C. Vizcarra. Guided bywine expert Nicolas Quinones, the tasting will feature a sample of four wines, demonstrating the wine’s age-worthy potential, for $45 per person, excluding tax and gratuity. To reserve, call 404.996.2623 or email admin@cooksandsoldiers.com. For one day only, The Iberian Pig will throw it back in honor of #TBT with original menu items. Stop by the Decatur restaurant to enjoy timeless classics, such as cabrito carbonara made with slow-roasted goat, chittara pasta, carbonara, Benton’s bacon, fresh cream and poached egg; lamb ribs served with kalimotxo, lemon-herb rice grits and smoked salt; and BBQ octopusfeaturing house-made barbecue sauce, fennel, shallots, pork belly and crunchy potatoes. 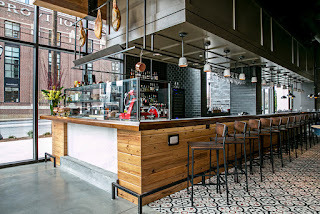 To make a reservation, call404.371.8800 or email ejames@iberianpigatl.com. From Decatur to Johns Creek, join Cooks & Soldiers, Double Zero, The Iberian Pig and/or Sugo for a whole pig roast, featuring each chef team’s unique twist on suckling pigs. For more information, visit www.chgrestaurantweek.com. From 2 to 4 p.m., let executive chef Ricardo Soto guide you through the techniques used to create Sugo’s signature hanger steak on the Big Green Egg. Guests will enjoy a demo and three courses for $45 per person, excluding tax and gratuity. Later that evening, from 7 to 9 p.m., Mr. C will host Sugo’s iconic meatball making class for $39 per person, excluding tax and gratuity. To reserve your spot, call 770.817.8000 or email sugo@sugorestaurant.com. 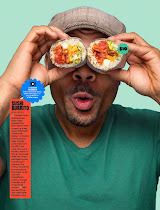 CHG Restaurant Week will conclude with CHG’s fifth annual All Chefs Dinner at Double Zero’s new Emory Village location. Starting at 6 p.m., a team of 13 chefs from Cooks & Soldiers, Double Zero, The Iberian Pig and Sugo will serve nine courses. Seats are $110 per person with optional wine pairings available for an additional $65. Reservations are extremely limited; save your seat by calling 404.991.3666 or contacting ecruz@doublezeroatl.com. For more information about CHG Restaurant Week, click here or visit each restaurant on Facebook, Instagram and Twitter.